"Vincent Avril fashioned one of the finest 2008 Chateauneuf du Papes of the appellation.. Made from a classic blend of 65% Grenache, 20% Mourvedre, 10% Syrah and the rest an assortment of permitted varietals, it exhibits a dark color as well as a bouquet of lavender, kirsch, licorice, loamy balsamic notes and hints of roasted meats and herbs. Evolved by this estate's standards, it is an elegant effort with surprising density and richness. I actually prefer it to the 2005 (which was The Wine Spectator's Wine of the Year). The 2008 should drink nicely for 10-15 years." "Reminiscent of a young Grand Cru Burgundy, and possibly the wine of the vintage, the 2008 Clos des Papes Chateauneuf du Pape sports beautiful aromatics of cherry and raspberry fruit, spice box, and licorice. There's good complexity and purity to the aromas, as well as solid depth. On the palate, the wine is medium bodied and finess driven, possessing a superb, silky texture, perfect balance, and a clean, long finish. Drinkable now, it will no doubt evolve for 3-5 years and then drink well over the following 10." "Dark and alluring, with captivating black tea, charred mesquite and kirsch flavors allied to a remarkably silky mouthfeel." 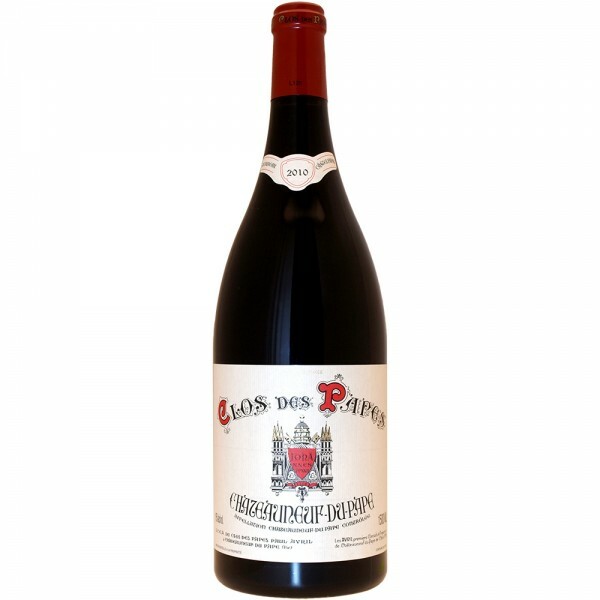 "Earthy, smoky, red plums, medium bodied, lighter style of Clos des Papes with a focus on freshness, elegance, bright red fruits and spice. Drink this Burgundian styled wine on the young side. If you are thinking Parker is off his game on all the high scoring years, due to too much alcohol and fruit, you will like this wine a lot." Kundenbewertungen für "Clos des Papes 2008"